Could there be any doubt about who GladiatHer’s #WCW is? Her career with the US Women’s National Team (USWNT) has spanned over 14 years. When she officially retires on December 16, 2015, she will end her career having scored the most international goals, ever…man or woman. Her 184 international goals (77 of which were headers), four trips to the Women’s World Cup, 2 Olympic gold medals, and FIFA Women’s Player of the Year honors make her one of the greatest soccer players of all time. Although controversy may have followed her at times, there was never a question that she loved and gave her all to her sport and country. 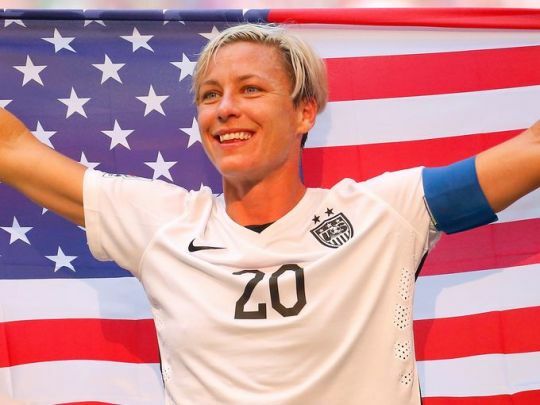 For her greatness, her fierceness and her fearlessness, Abby Wambach is GladiatHer’s WCW.